Around 1000 parishioners of All Saints Catholic Church organised a carnival to raise funds for the extension of their parish hall on 10 March. Photo: Supplied. Community building and fundraising were the two highlights at the Greenwood Parish Summer Carnival that was held on Sunday, 10 March at the grounds of the All Saints Catholic Church. Carnival Marketer Amanda D’Souza said the members of the parish worked tirelessly for an evening, to raise funds for the much-needed extension of their parish hall. Parishioners of the All Saints Catholic Church organised a carnival to raise funds for the extension of their parish hall on 10 March. Photo: Supplied. The 24:7 Youth Ministry was in attendance at the Summer Carnival to help raise funds on 10 March. Photo: Supplied. “The parishioners donated everything at the carnival, and set up all kinds of stalls selling cakes, plants, second-hand furniture, books, crafts, children’s toys and clothing. “It was lovely to see groups of friends and families come together to raise funds for a good cause. A raffle and lucky dip was also drawn during the event, inviting many cheers and smiles everytime a winner was announced. Mrs D’Souza confirmed that almost $10 000 was raised as a result, and the Church is now one step closer to finally proceeding with the construction works. 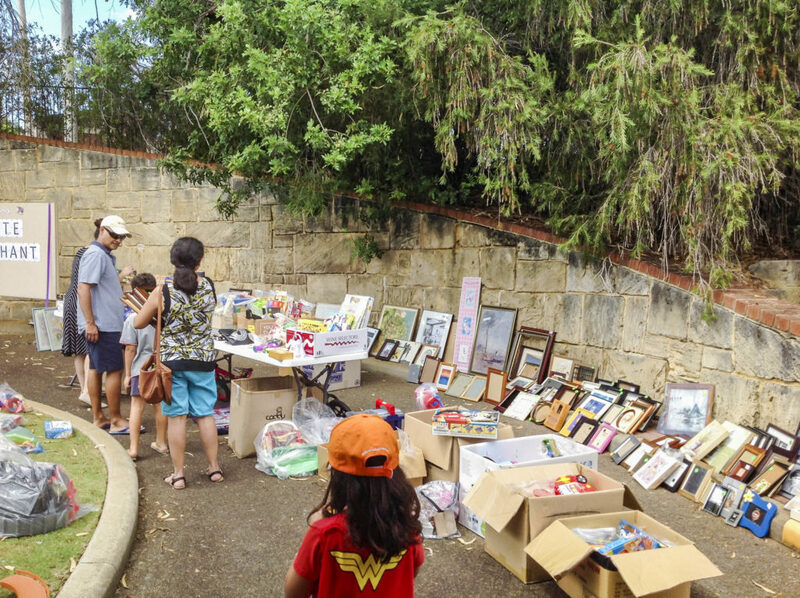 The second-hand furniture stall gained a lot of attraction at the Summer Carnival held at the All Saints Catholic Church on 10 March. Photo: Supplied. Almost $10 000 was raised at the Summer Carnival held at the All Saints Catholic Church on 10 March. Photo: Supplied. “Having more space will enable more groups to formed and run by our parishioners, encouraging a wider participation from the congregation as we currently lack the space,” she said. “The hall will allow us to have more communal meals after baptism or funeral masses, the youth and personal advocacy groups will be able to accommodate its’ growing members, and the parish will be able to start a play group for its retired members such as a painting club, chess club or dance class. “This will improve the social life of our parish and increase a sense of community among us,” she concluded.